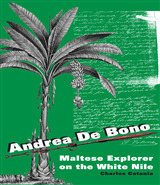 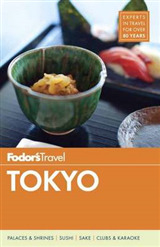 Written by locals, Fodor's travel guides have been offering expert advice for all tastes and budgets for 80 years. 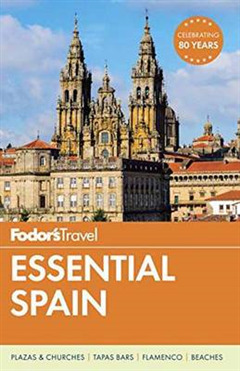 Spain remains one of the world's most popular tourist destinations for its cutting-edge cuisine and superior wine, festivals like the running of the bulls in Pamplona, world-class museums like the Museo del Prado, amazing architecture, and more. 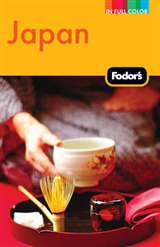 In stunning full-color, Fodor's Essential Spain puts the best the country has to offer at your fingertips. 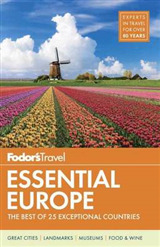 This travel guide includes: * Dozens of full-color maps plus a handy pullout map with essential information * Hundreds of hotel and restaurant recommendations, with Fodor's Choice designating our top picks * Multiple itineraries to explore the top attractions and what's off the beaten path * In-depth breakout features on Gaudi's architecture, Spanish wine, tapas, flamenco, the Alhambra, Basque culture, El Camino de Santiago, and the Museo del Prado * Coverage of Madrid; Toledo; Galicia and Asturias; The Basque Country, Navarra, and La Rioja; The Pyrenees; Barcelona; Catalonia, Valencia, and The Costa Blanca; Ibiza and the Balearic Islands; Andalusia Planning to focus on Barcelona? 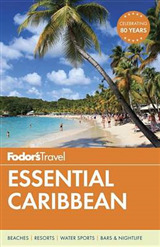 Check out Fodor's travel guide to Barcelona.